TSV was established in 2013! We are based out of Georgetown, Texas. It is our goal to provide quality and value to our players and families.Through our values and training style we help create a team synergy that becomes unstoppable on and off the court. Join us for your next club season, and all your volleyball training needs, and have fun while working hard!! Spring and Summer Skill Clinic and Camp Dates are now posted! Space is limited. Subscribe to our monthly newsletter!!! TSV 18 National wins 2nd at Red River Classic! TSV 14 National wins 1st at Eclipse #2! TSV 14 National wins 1st at Spike it Down Tournament! TSV 18 National wins 3rd at Corpus Christi Classic! ​TSV 17 National Finish 2nd at Tour of Texas Warm Up! TSV 17 National goes undefeated and finish 1st at Texas Fest! TSV 17 National finish 2nd at SA Sting Tournament! ​TSV 18 Green Finish 3rd at Regionals! TSV 16 Green finish 3rd at Regionals! 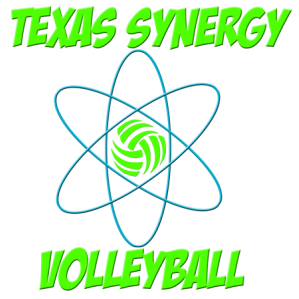 TSV 14 Green wins 3rd at Lone Star Warm UP! TSV 18 Green finishes 21st out of 75 teams @ BigSouth NQ! TSV 14 Green wins 2nd in Elite Silver Bracket @ Cross Court! TSV 12 Pink wins 1st at Central Texas Draw! TSV 18 Green wins 1st in Silver bracket at Volleyball Showcase! TSV 15 Green wins 3rd at Alamo Classic! TSV 15 Green wins 2nd at Winter showdown! TSV 14 Blue wins 2nd at Texas Legends #1! TSV 16 Green wins 3rd at AP #3! TSV 16 Green wins 2nd at Round Rock Round up! TSV 14 Green wins 1st at Aggieland Classic! TSV 14 Green wins 1st at Legacy Challenge! TSV 14 Green wins 2nd at ASC #2! TSV 16 Green wins 3rd at Mistletoe Madness! TSV 14 Blue wins 3rd at ASC #2! TSV 15 Green takes 7th at Tour of Texas Warm Up! TSV 18 Green wins 2nd in silver bracket at 2015 kickoff!